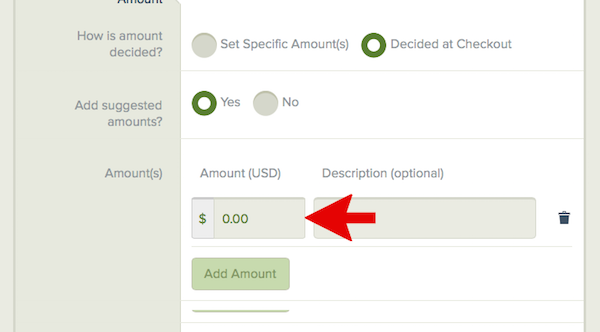 How do I "suggest" amounts for payers to choose from, but still let them enter their own amount? 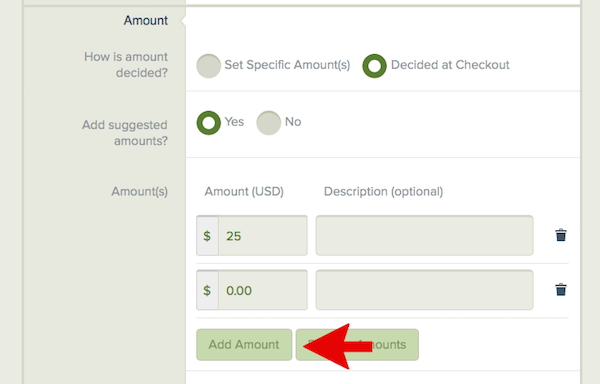 3) Click Yes to the question "Add suggested amounts?" 5) Click the Add Amount button if you'd like to add another amount. Enter the additional suggested amount.